House Oversight Committee Chairman Jason Chaffetz and House Judiciary Committee Chairman Bob Goodlatte have requested Department of Justice Inspector General Michael Horowitz launch an internal investigation into who is leaking classified and damaging information about private intelligence conversations within the Trump administration. "Over the last several days, there have been a series of news articles recounting potentially classified security information. These include reports on communications of or regarding the President's former National Security Advisor, Lieutenant General Michael Flynn (ret. )," a letter sent to Horowitz late Wednesday states. "We have serious concerns about the potential inadequate protection of classified information here. Federal laws, and the Constitution, distinguish law enforcement investigation authorities from intelligence collection authorities for good reason, and in neither case is collection intended to enable the government's publication of conversations surreptitiously recorded by intelligence agencies. Similarly, the release of classified national security information can, by definition, have grave effects on national security. In light of this, we request that your office begin an immediate investigation into whether classified information was mishandled here." 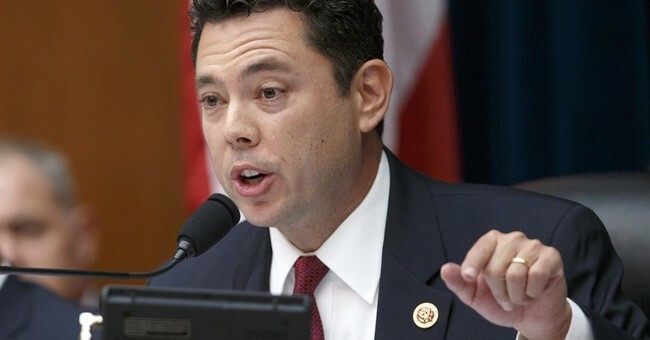 Chaffetz discussed the request during an interview with Fox News last night. Yesterday President Trump blasted the leaks as a "criminal act" during a press conference at the White House. Today he applauded efforts to find those leaking information.